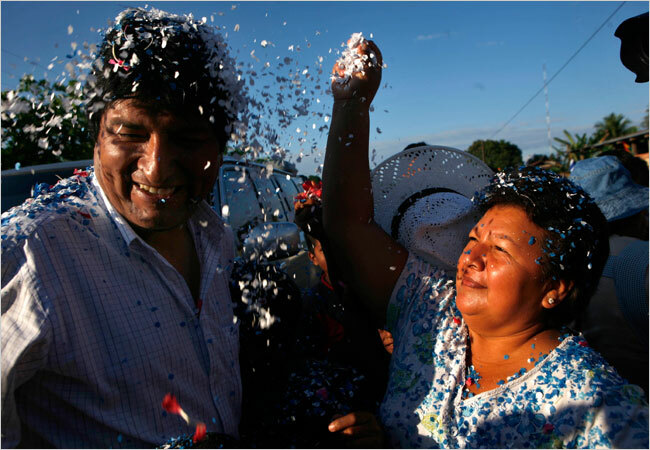 Evo Morales, the first Indian president of Bolivia, survived a recall vote on Sunday with 63.5 percent of the vote. Morales was elected in December 2005, following years of Indian-led protests against the country's former leaders. He has sought to increase the rights of Indian communities, promote Indian languages and redistribute land to Indian farmers. His most controversial effort is to rewrite the county's constitution.